What Does 'Worsted Yarn' Mean in Knitting and Spinning? The term 'worsted' has different meanings depending on where you are in the knitting and spinning world. For knitters, worsted most commonly refers to a weight of yarn, and it is also known as medium weight yarn. This is a versatile yarn for almost any project and a perfect weight to begin with when you're just learning how to knit. Worsted weight yarn is generally knit on a US 7 to 9 knitting needle (4.5 to 5.5 mm) and works up 16 to 20 stitches per four inches. Worsted weight sometimes refers to a slightly lighter weight yarn as well. This is why many people are pushing for the wider use of the standard yarn weight system, which will make it easier to understand what you're getting when you shop for yarn. If you're a spinner, worsted refers to both a means of preparing fiber to be spun and a method for doing the spinning on a wheel. Worsted fiber preparation involves fibers that are basically all the same staple length and that have been combed so they all face the same direction and are nice and straight. Spinning in a worsted method means that you don't allow the twist into the drafting zone; the fibers are smoothed and stretched before the twist is allowed in. This makes for a slow spinning process, but it's worth it if you want a very even, smooth, and lovely yarn. In spinning, worsted is the opposite of woolen yarn preparation and spinning methods. Using these definitions, a worsted yarn provides firm stitch definition in a lustrous, strong, and cool-wearing yarn. All that's true regardless of the actual weight of the yarn. Yet, as knitters, we often think of 'worsted weight' so let's return to that definition. It is likely that you will use worsted weight yarn for many knitting projects. It is one of the most versatile weights and can be used for everything from sweaters and scarves to socks, dishcloths, blankets, and more. It can also work for cool weather or warm weather knitwear. This is the perfect yarn for beginners because it has nice stitch definition, is easy to work with, and is neither too bulky nor too thin. The tight construction and medium weight allow for great stitch definition. This means that you can use it to create simple stitches like Stockinette as well as intricate patterns like lace and cables. A skein of worsted weight tends to be very efficient. You can often get more finished knit fabric from a worsted weight yarn than other weights. Also, because this yarn has fewer frills like bulk or fur, knitting with it is often quicker and you can catch mistakes more easily. 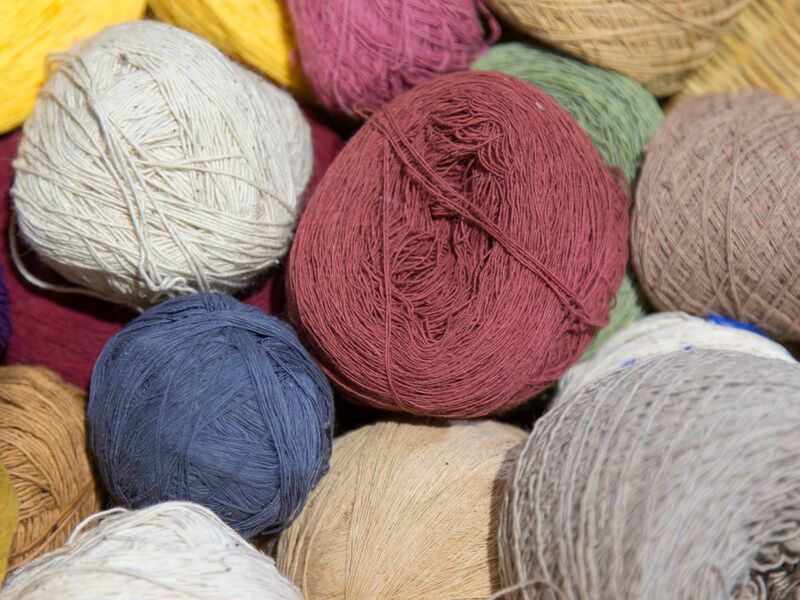 The majority of worsted weight yarns are similar from brand to brand. This means that you can often get away with choosing a worsted weight yarn from two different companies and working them into a single project. Use this to your advantage because it may open up your color choices. Just make sure the fibers and weights are similar. Worsted is a fabulous choice for colorwork knitting. Stranding in Fair Isle and other styles is smooth and clean and the yarn lays nice and flat on the wrong side of the work. You can add bulk to worsted weight yarn by using more than one strand at a time. Two strands make a comfy sweater and three strands make a big, bulky scarf. It's a fun and easy way to add color to a project as well. The fiber construction of worsted yarn (no matter the weight) also makes it strong so it will stand up to normal wear. With proper care, a sweater or pair of gloves knit with a worsted yarn will stand up for years. Some brands of worsted yarn pill a little more than others. Yet, for the most part, the construction is nice and tight and your patterns will look as if they were just knit, even years later. What Does Roving Mean if You Knit or Spin? Where Did the Cardigan Sweater Get Its Name?